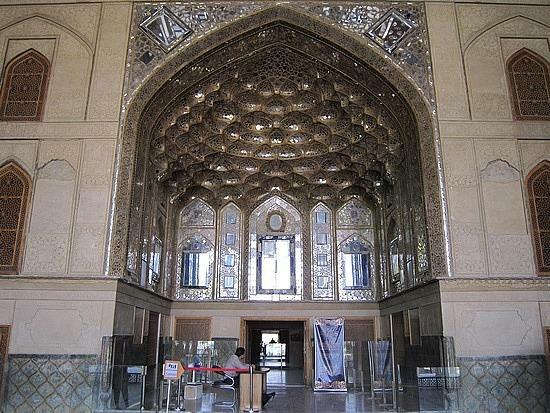 Several palaces were built in Isfahan, during Safavid era few of them have survived. Even those which have survived were severely damaged. 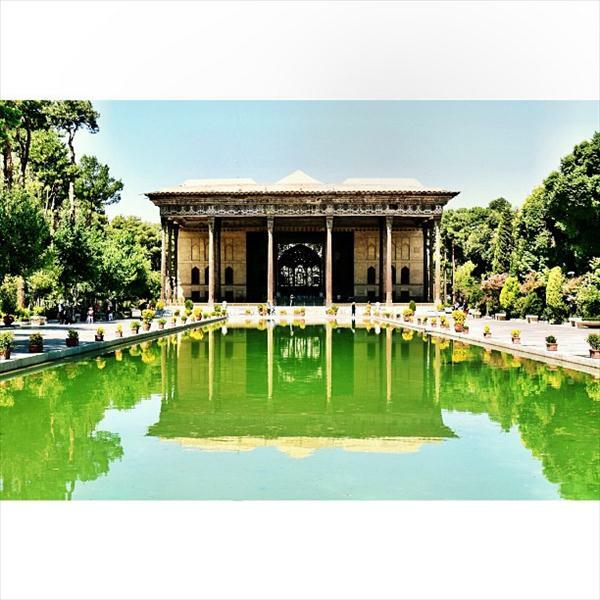 The palace of Chehel Sotun (palace of 40 pillars) is located in a vast beautiful garden. The original garden was larger than now. The present garden is 60000 square meters. The palace area is about 2125 square meters. 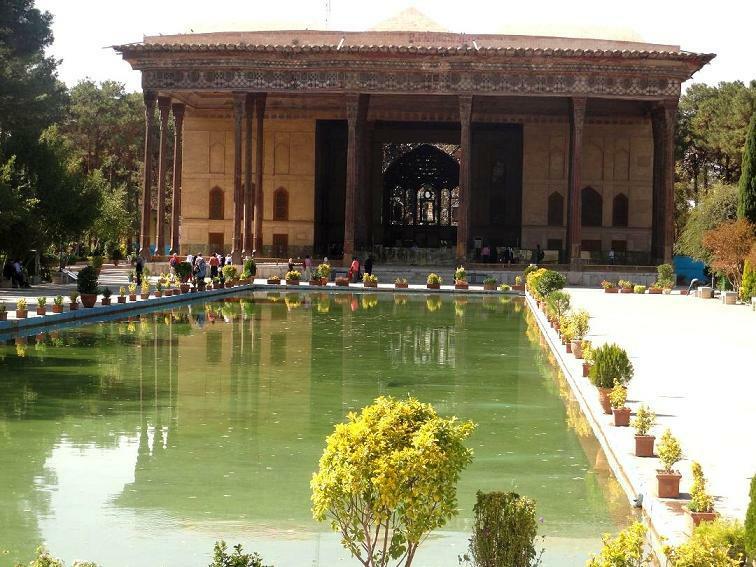 There is a large pool in front of the palace. 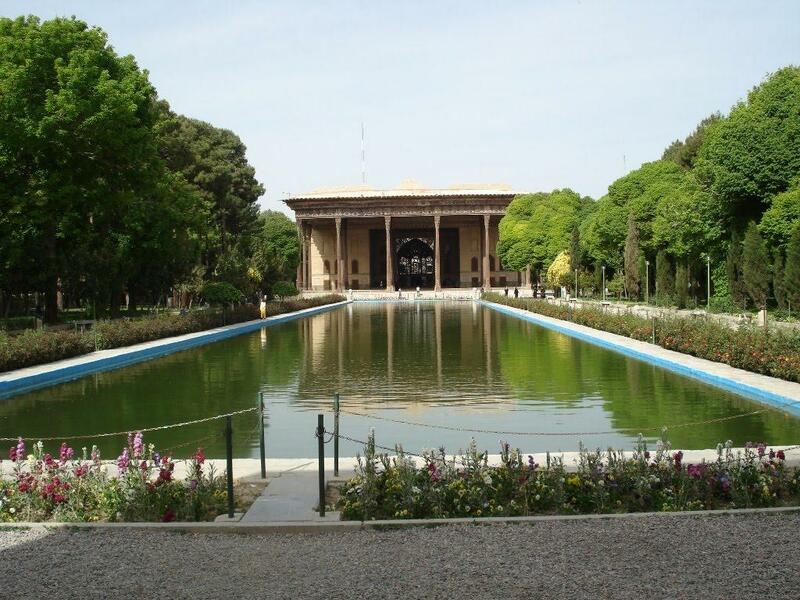 The first part of palace was built during Shah Abbas the great period. 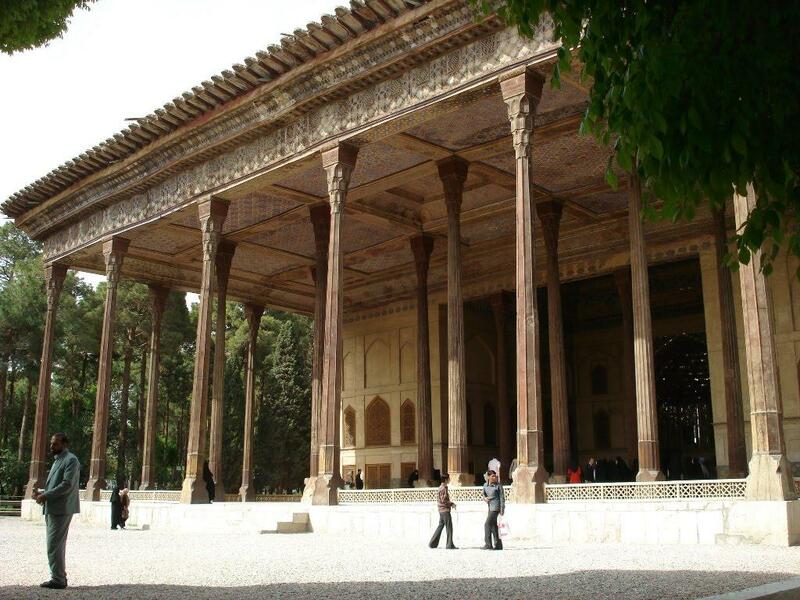 The beautiful frontal porch and the mirror ornamented Eivan were built during Shah Abbas the second era. 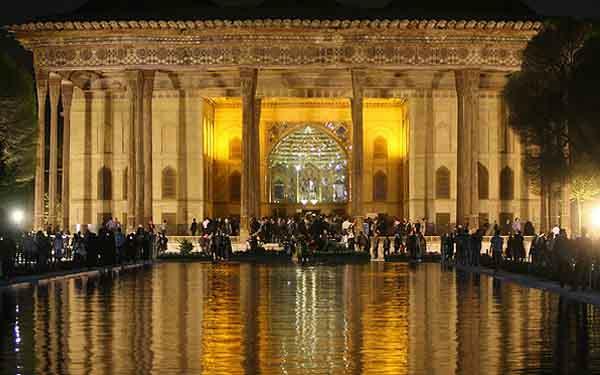 It was used as a reception palace; foreign delegations and royal guests were entertained in this palace. In some parts of the palace more than three layers of plaster work has been found, made by the commands of different rulers. 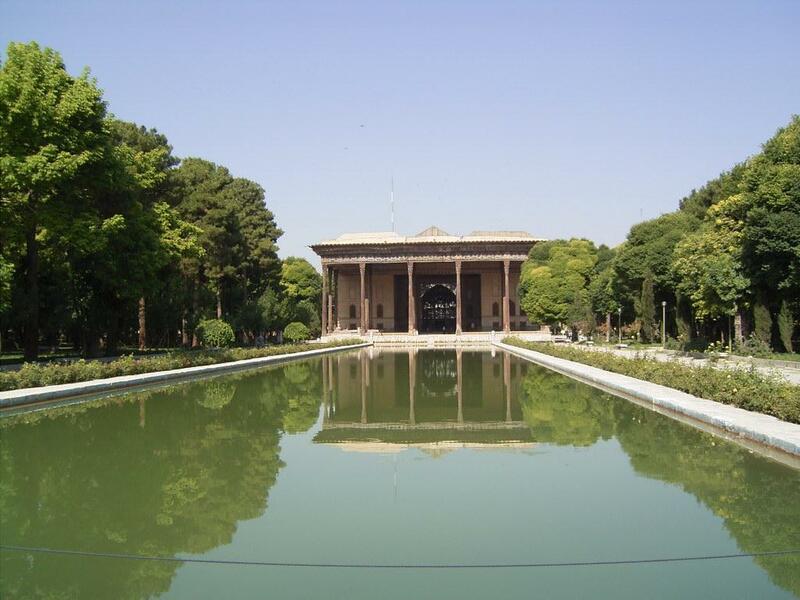 The palace was completed in 1647.
it was restored by the last Safavid king. The palace has some of pre- Islamic architecture's specification. 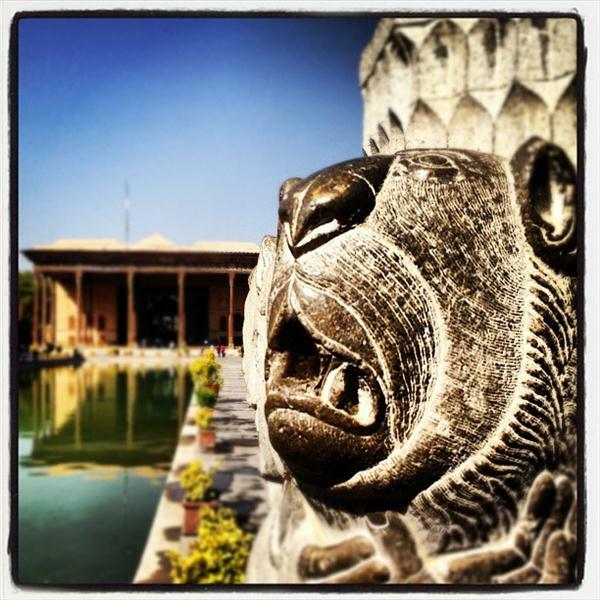 For example like Persepolis, the palace stands on a platform higher than ground floor. Chehel means forty. This number is used to indicate a large number. There are ...see more twenty wooden pillars in the front porch. These pillars are reflected in the pool located in front of palace. 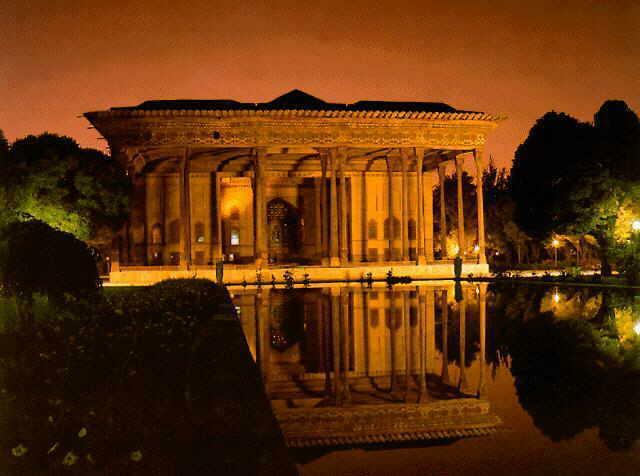 Twenty pillars and bright reflected pillars in the pool is a reason to call it "The Palace of Forty Pillars". Each pillar was made of Sycamore trunk, originally decorated with coloured wooden ornamentation and mirror work. Unfortunately pillars decoration has been vanished. The ceiling of porch is decorated with Beautiful inlaid works. It has the best kind of inlaid decoration among Iranian palaces. In the centre of this part there is small marble pool. At four corners of rectangular shaped pool there are four stones made lions, facing toward the pool. These lions were used as bases of four pillars and the same lions work as water fountains. Above the entrance door of the main reception hall, there used to be a holy Quran which was stamped by the Third Immam of Shiites (Immam Hossein). It is a popular tradition even today, that when people who travel pass under the holy Quran, for luck and safe journey. The above mentioned holy Quran is kept in the palace’s museum. Three remarkable kinds of paintings can be seen in the main reception hall. First the ceiling has a wonderful glittering gold designs. Second, traditional miniature paintings which have decorated lower parts of the hall. 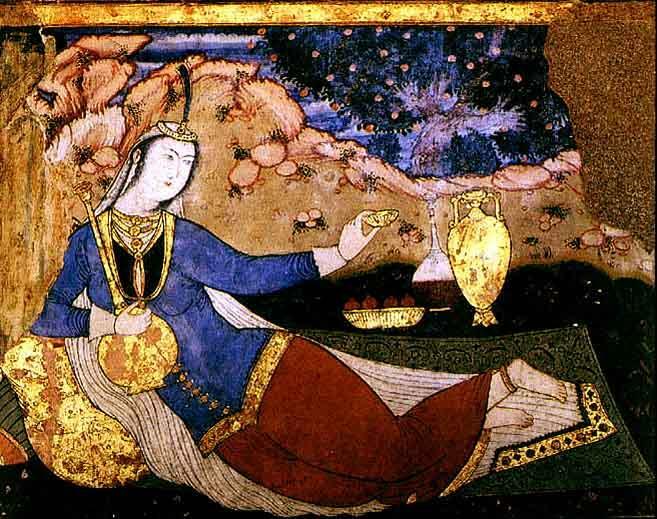 Different ideas were taken from Iranian literature, in order to create these paintings. The third type is portraits of kings, rulers, battle scenes and royal receptions, from different periods. On some parts of walls more than two layers of painting can be seen. 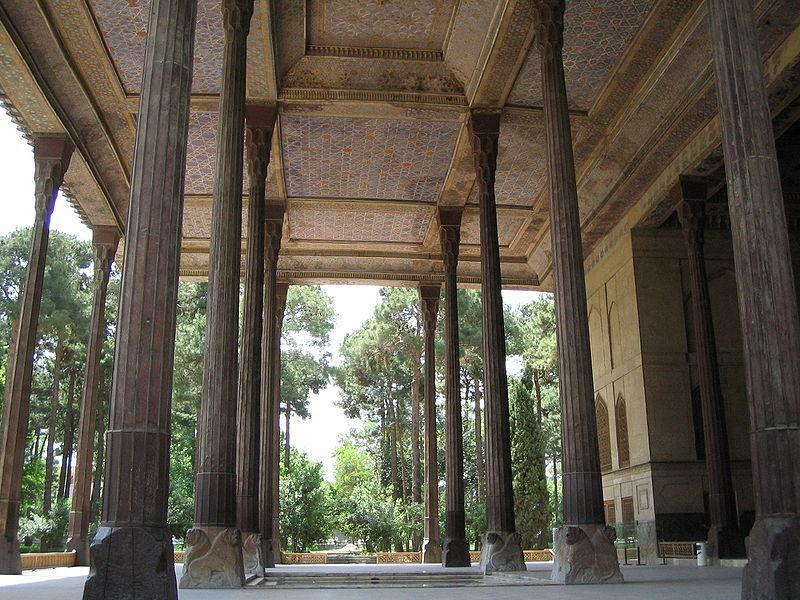 This palace was restored by Iranian and Italian masters. All paintings have been cleaned and some parts were repaired. 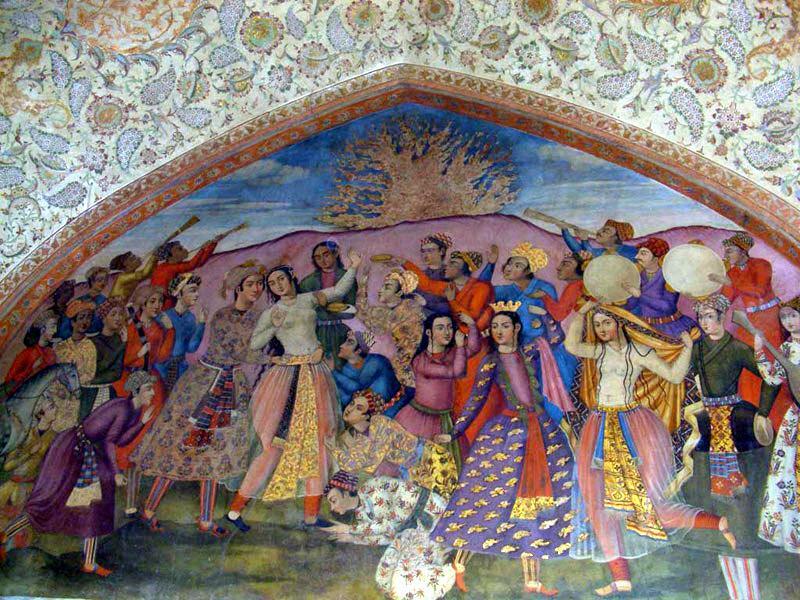 The famous Chaldoran war and Karnal war paintings belong to Qajar period. Original Safavid era’s paintings are beneath these two paintings. Chaldoran war took place between Shah Ismail Safavid and the Ottoman’ Karnal war paintings are about invasion of India by Nader shah Afshar. One of the paintings shows a reception feast by Shah Abbas the great, receiving Vali Mohammad Khan king of Turkistan. Another painting is showing Shah Thahmasb Safavid receiving Homayon Shah from India. 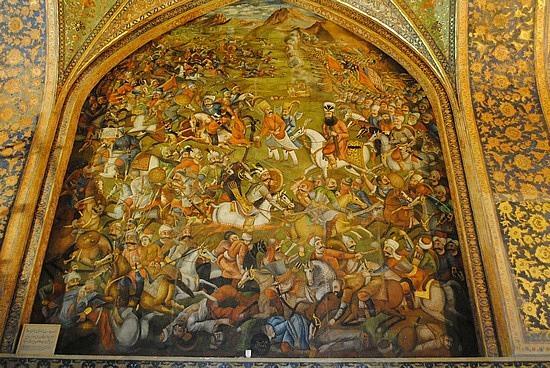 Another painting shows a battle between Shah Ismail Safavid and Uzbeks. The last one shows Shah Abbas the second receiving Mahmood Khan from Turkistan. For visitors short tables are hanged under large paintings, with very brief information. On northeastern and southeastern of the palace there are two beautiful semi large rooms which are beautifully ornamented with plasters works and paintings. Unfortunately these rooms have been seriously damaged. The northern eivan and western eivan was decorated with portraits of European ambassadors and famous members of European delegations. The Chehel Sotun palace is also used as a small museum, worth visiting. In the south eastern rooms, there is a master piece of art, a strained glass window, which was transferred from another monument, called Darbe Emam. At the southern garden’s wall of Chehel Sotun palace glorious portal of a mosque was transferred from Qotbieh Mosque. Unfortunately expansion of Isfahan and construction of new streets has deeply damaged historic part of Isfahan. Qotbieh Mosque was one of them. There are four statues showing human and lion at four corners of the large pool in the front of palace. These stones belonged to a palace called “Ghasre Sarpush Khaneh”. The palace like hundreds of other historic monuments was ruined. These statues were pillar’s bases have been removed to Chehel Sotun.